Samsung’s Galaxy Note 8 is launching roughly a year after the disastrous debut of the recalled Note 7. But it also comes on the heels of Samsung’s newest flagship, the much-lauded Galaxy S8 Plus. So what are the differences? And in the battle of Note 8 vs. S8, who wins? The Note 8 is a bigger smartphone, for starters, and comes with Samsung’s S Pen stylus. It’s the first product in Samsung’s smartphone lineup with a dual camera, but it packs the same Qualcomm octa-core Snapdragon 835 processor you’ll find on the S8. And like the S8, it supports the company’s computer-replacing Dex Station and AI-powered Bixby assistant. But the Galaxy S8 Plus is impressive in its own right. We pit Galaxy Note 8 vs. Galaxy S8 Plus to see which is the better phone. The Galaxy Note 8 and Galaxy S8 Plus share a lot in common. The Note 8 packs Qualcomm’s octa-core Snapdragon 835 processor, same as the Galaxy S8 Plus. (Qualcomm claims it has a 27-percent performance advantage over its predecessor, the Snapdragon 821.) But the Note 8 has an advantage: Extra memory. The Note 8 comes with 6GB of memory, whereas the Galaxy S8 Plus has 4GB. Whether the extra RAM will be useful is still up for debate. It’s pretty much the same story in the storage department. Both the new Note and the Galaxy S8 Plus have 64GB of internal memory, and a MicroSD Card slot allows you to easily add more storage. The Galaxy Note 8’s extra memory may provide an advantage with multiasking, but it will hardly be discernible from the S8. Still, since it does offer more RAM, we’re giving it the win. The Galaxy Note 8 may be bigger and blockier than the Galaxy S8 Plus, but the two phones are cut from the same cloth. Take the Galaxy Note 8’s frame, for example. It’s constructed from the same metal-and-glass mix as the S8 Plus, and features the same shatter-resistant Gorilla Glass 5 casing. Little else has changed. The Note 8 has a USB-C port, a 3.5mm headphone jack, a fingerprint sensor, and an iris scanner. Same goes for the S8 Plus. Given that the Note 8 and Galaxy S8 Plus are made from the same materials, it’s not surprising that they’re equally durable. They’re both IP68 certified for water resistance, meaning they can be submerged in up to 5 feet of water for half an hour without sustaining damage. Neither are rated for drops or scratches, meaning they’ll both need a case to survive more than a heavily-cushioned fall. The similarities extend to the edge-to-edge screen. The Note 8’s screen is a bit larger than the Galaxy S8 Plus’ — 6.3 inches versus 6.2 inches — but it boasts the same curved bezels and narrow sides on the top and bottom. With the exception of the Note 8’s corners, which taper off more gradually than those on the S8 Plus, it’s tough to tell the two apart. The Galaxy Note 8’s screen isn’t markedly different from the S8 Plus’ in terms of specs, either. It’s a bright, colorful Super AMOLED model with the same Quad HD+ resolution (2,960 x 1,440 pixels) and an 18.5:9 aspect ratio. Despite the similarities between the Galaxy Note 8 and the Galaxy S8 Plus, we’re partial to the S8 Plus. Its gradual curves make the S8 Plus look more futuristic and less aggressive than the Note 8, which we think is a good thing. The Galaxy Note 8 has a 3,300mAh battery, which comes in slightly under the Galaxy S8 Plus’ 3,500mAh battery. It’s too early to tell how much of a difference that 200mAh difference will make in the real world, but we’re not expecting anything dramatic. The Galaxy S8 Plus lasted about a day with moderate to heavy use in our testing, and we’re expecting the same of the Note 8. Both phones support wireless charging (Qi and PMA), as well as Samsung’s Adaptive Fast Charging. With a compatible adapter, you can expect the Note 8 to charge just as quickly as the S8 Plus — in about 90 minutes, give or take. Regardless, the S8 Plus still does have a bigger battery, so we’re giving it the win. The biggest difference between the Galaxy Note 8 and the Galaxy S8 is the camera. The Note 8 is the first flagship Samsung phone with dual lenses. They’re both 12-megapixels in resolution, but one has a f/1.7 aperture, while the other has a f/2.4 aperture. The Galaxy S8 Plus, on the other hand, has a 12-megapixel camera with an f/1.7 aperture. The Note 8 puts those dual cameras to good use. Live Focus, a new camera mode, lets you apply a DSLR-like blur effect — bokeh — before or after you capture a photo. Dual Capture takes a close-up shot and a wide-angle shot at the same time. The Galaxy S8 Plus has Selective Focus, which essentially mimics Live Focus’ bokeh effect with software. Sadly, however, the results don’t always look natural. On the front, the Note 8 and Galaxy S8 Plus feature the same 8-megapixel sensor with an f/1.7 aperture. If the S8 Plus’ selfie performance is any indication, you can expect the Note 8’s front-facing camera to perform well in low-light scenarios. 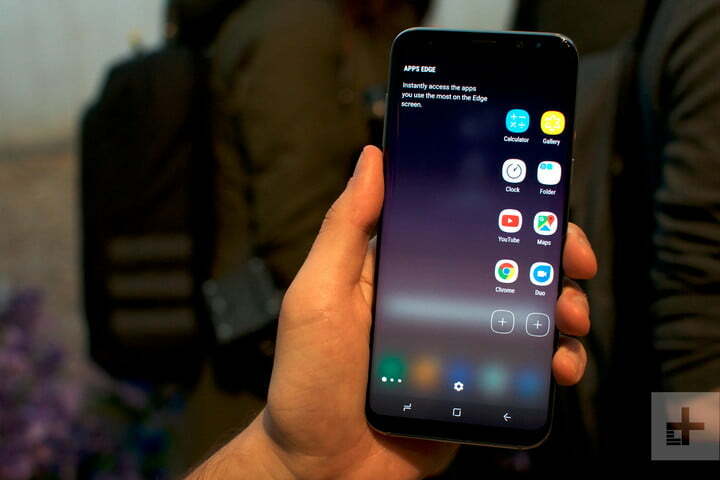 The Galaxy Note 8 and Galaxy S8 Plus ship with Google’s Android mobile operating system, but Samsung has added its own interface as a layer called TouchWiz. Unsurprisingly, the two versions are practically identical. 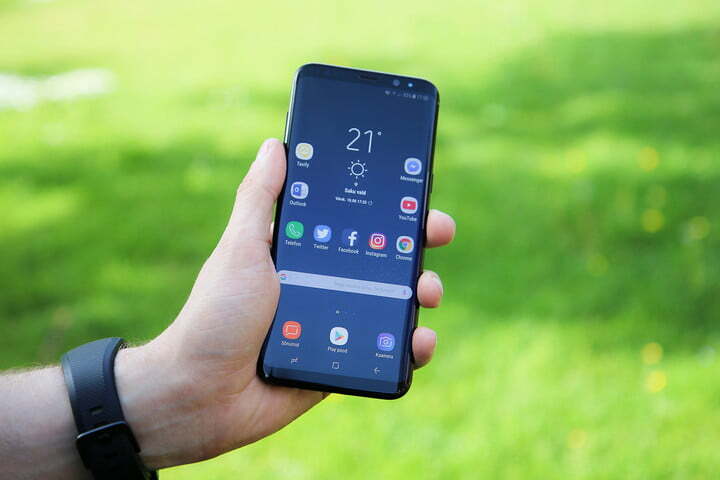 Perhaps the highlight when it comes to software is Samsung’s Bixby assistant, featured on both, which taps into the 10 different Samsung apps that come pre-loaded on the Galaxy S8 to serve up contextually useful information. Both phones also support Dex Station, a docking station (sold separately) that transforms the Galaxy Note 8 and Galaxy S8 Plus into a functional desktop replacement. Both the Note 8 and Galaxy S8 Plus have iris scanners and face-scanning cameras on the front, which save you the trouble of having to type in a password. The Note 8 does run a more recent version of Android, version 7.1.1, while the S8 Plus is on Android 7.0. Both will like get Android 8.0 Oreo by early 2018. But the Note 8 has something that the Galaxy S8 Plus doesn’t: Samsung’s S Pen stylus. There’s Screen Off Memo, a feature which lets you sketch and write memos without switching on the Note 8’s display, and Smart Select, which generates GIFs. Air Command provides a list of shortcuts to apps whenever the S Pen is removed from its slot, and Magnify turns the S Pen into a digital magnifying glass, enlarging the text and images around its tip. A new feature called Live Messages lets you sketch an animated image and share it with friends or on social media as a GIF. Then there’s App Pair, which lets you add a shortcut to launch two apps in split-screen mode at the same time. This feature will likely come to the S8 Plus later on. The Galaxy Note 8 isn’t available yet — it’s available for pre-order, and it goes on sale in September. But when it does launch online and in stores, it’ll be a heck of a lot more expensive than the Galaxy S8 Plus. 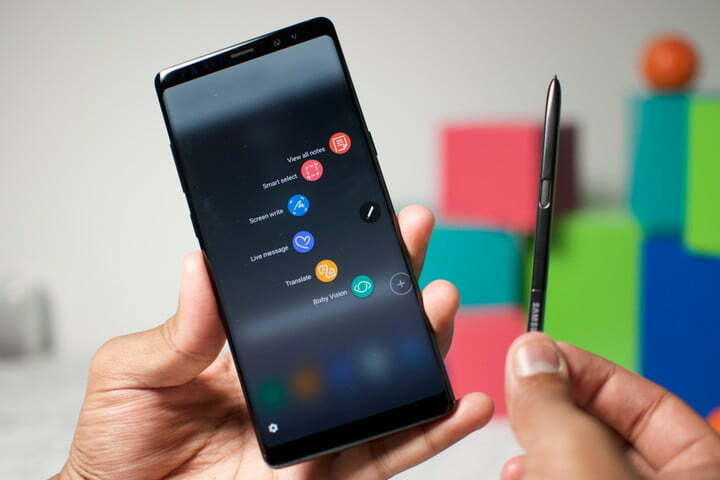 Galaxy Note 8 pre-orders start at midnight on August 24 at AT&T, C Spire, Cricket Wireless, Sprint, Straight Talk Wireless, T-Mobile, U.S. Cellular, Verizon Wireless, Xfinity Mobile, Samsung.com, Best Buy, Target, and Walmart. The Galaxy S8 Plus, on the other hand, is currently available from all major carriers, including AT&T, Sprint, T-Mobile, and Verizon. The 64GB models starts at $850. We wouldn’t be surprised to see discounted pricing for the Galaxy S8 Plus in the near future, but based on the MSRP pricing, the Note 8 is the far better value. The Galaxy Note 8 is pricier than the Galaxy S8 Plus across the board, as you can see. But to sweeten the pot, Samsung, retailers, and carrier partners are extending freebies and discounts to early buyers. From now until September 24, customers who pre-order the Note 8 get a choice of a free Samsung Gear 360 camera (a $230 value) or a free Galaxy Foundation kit with a 128GB memory card and wireless charging convertible (a $190 value). Samsung is also extending a substantial discount to former Note 7 owners who reserve the Note 8 early. 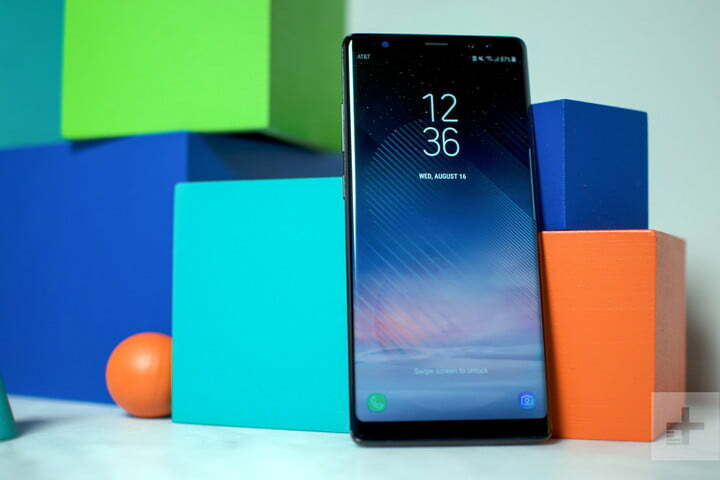 They’re eligible for an instant trade-in rebate of up to $425 when they upgrade their current phone for a Note 8. Verizon is offering 50 percent off the Note 8’s retail price to subscribers who trade in their old phones, plus $100 off the Samsung Gear S3 smartwatch with a new two-year activation, $50 off the Samsung Power Bundle, which includes a wireless charging stand, portable power pack, and car charger. AT&T is throwing in a free Galaxy Note 8 for customers who sign up for DirecTV service. U.S. Cellular is giving customers who switch from another carrier up to $300 in credit. There’s no two ways about it: The Galaxy Note 8 has better hardware than the Galaxy S8 Plus. But the Note 8 isn’t available right now, and at $930 unlocked, it’s one of the most expensive Samsung phones in history. At first glance, there’s very little to distinguish the Note 8 from the Galaxy S8 Plus: It has the same Snapdragon processor, the same screen resolution, the same storage capacity, and even many of the same software features (like Bixby and Dex dock compatibility). What the Note 8 offers the S8 Plus doesn’t is Samsung’s S Pen. It’s included in the box, and lets you jot down notes when the screen is off and launch apps by removing the pen from its holster. 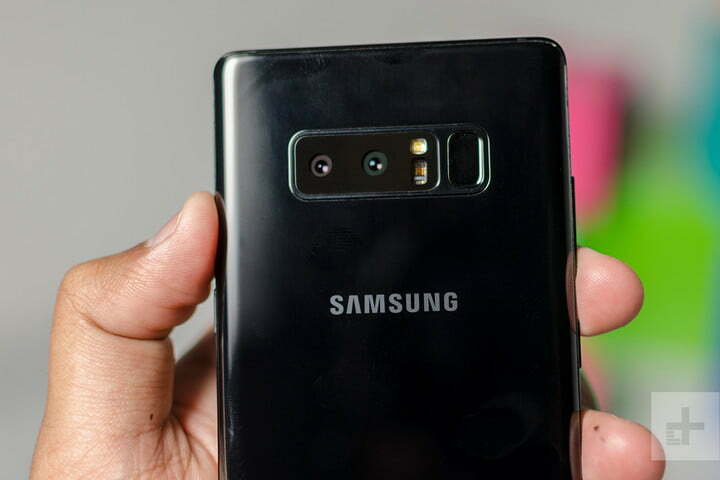 The Note 8 also features dual cameras, and if you think those features are worth the extra price tag, go for the Note 8. If not, then the cheaper S8 Plus is a great choice.